With more than 40 years of industry experience, Prolite Lamps are able to offer the right quality at the right price. Suppliers of a range of lamps including LED, compact fluorescent, halogen and metal halide, we stock over a million lamps in our warehouses. We can ship from single lamps to pallets or containers. Geared to ensure the best possible service and flexibility to you the customer, we are constantly reviewing our products on an ongoing basis and monitor our range and stock profile to respond to market and customer requirements. We have just launched our new range of Prolite LED products including new fully dimmable GU10 lamps, LED filament GLS and candle lamps, and our new Pro-Disc range with integral microwave sensor and option of emergency kit. Please check out the links above or visit our LED products section for full details. 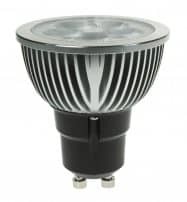 LED range expanded to include LED panels, LED tubes, GU10 LED lamps, Coloured GU10 LED lamps. Prolite projects team developed. Site surveys supported by relux lighting plans to help customers meet their requirements when switching to LED.